At Kennedy Road I.D.A. Pharmacy, we are proud to be the first accredited pharmacy within the Greater Toronto Area (GTA) to offer myDNA pharmacogenetic testing service. 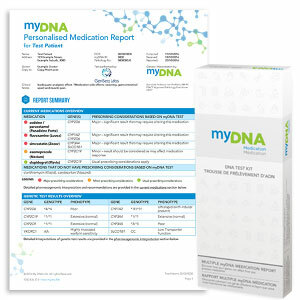 The myDNA medication reports can help your doctor personalise your treatment by selecting the medications and doses that may work better for you. To learn more, visit www.mydna.life. The same medication can affect each person differently. One reason for this is written in our genes. Now thanks to advances in science, we can look at your DNA and predict how you process many medications. Select from a selection of personalised mental health, pain, cardiovascular and gastrointestinal medication reports. 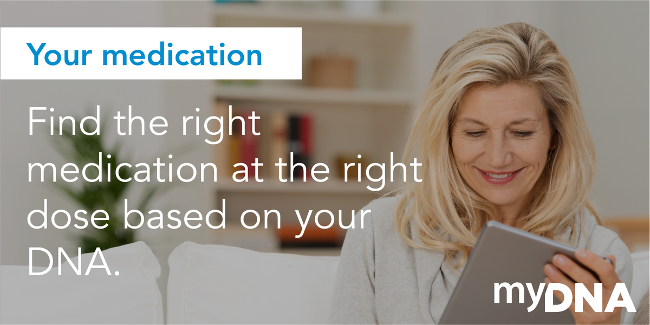 Get a full suite of the Single Medication Reports plus more. Your unique genetic profile determines how your body processes certain medications. Some people process certain medications too quickly and receive little or no benefit. Others process some medications too slowly and are at increased risk of side effects. 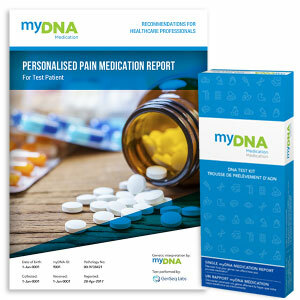 The myDNA Medication reports can help your doctor personalise your treatment by selecting the medications and doses that may work better for you. A myDNA Medication Report details how a wide range of medications are likely to affect you. These tailored reports can help you and your healthcare professional select the best medications for you now, and in the future.